I managed to get in a second Moneta dress this month, this fabric has been in my stash a little while, I think is an eBay buy, it is a slightly heavier t-shirt fabric. I made this moneta a size smaller on the top, removed 3/4 inch from the length of the top and graded out to the same waist measurement, with the skirt staying the same size. I feel that this is a better fit. I lengthened the sleeve again by 2 1/5 inches but used a binding for the neck, I assume because it is a heavier fabric than the last one it was easier to tell the back from the front, while putting it together I had stitched a small square of fabric to both back pieces. We have another bonus project coming up, I changed the fabric I decided on for the sewoverit shirt dress, after cutting it out I had enough left over to cut view 3 shorts and a halter neck top. I did make a test version on the shorts which fitted perfectly. 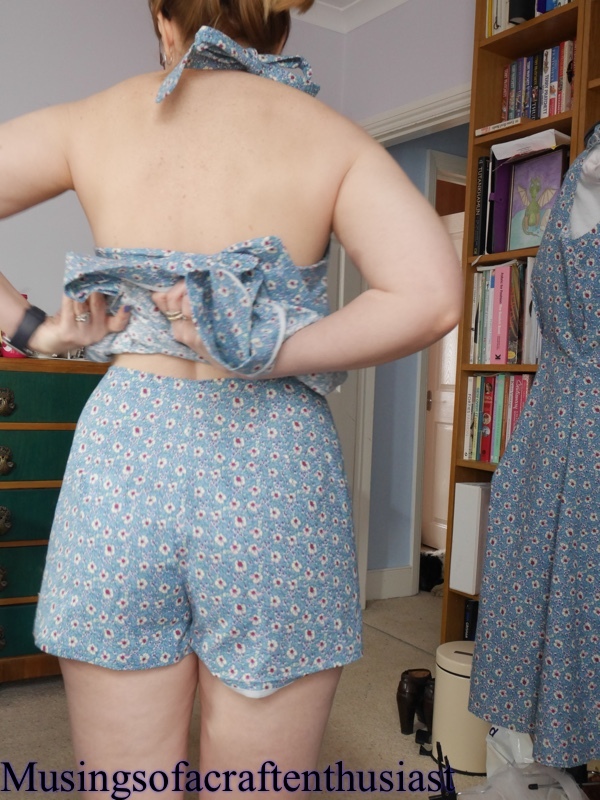 The shorts though straightforward has no waistband, it has grosgrain ribbon instead, this was as fiddly as putting the elastic in the moneta dress. Those little folds at the seams were very hard to keep in place as you stitched them down then you fold them over and stitch in place, you then tack them to the seam allowance I’m assuming it is to give a better fit as it will expand over the hips. I used bias binding on the hems as instructed by the pattern which does give a nice clean finish as you can in the photo above I used my overlocker on the seams. I removed 1/2 inch from the side seams and shifted the strap over slightly, once the top had been put together I had to remove a further 1/2 inch if I make this again I will have to reduce across the top pattern. I’m in two minds about Moneta it is very comfortable and it looks great but it is a pig to put the clear elastic on the skirt and until I put the collar on I wasted a lot of time trying to work out the front from the back. I bought the fabric from Olympia last year, for some reason I keep thinking it is heavier than it actually is, it is almost t-shirt weight. 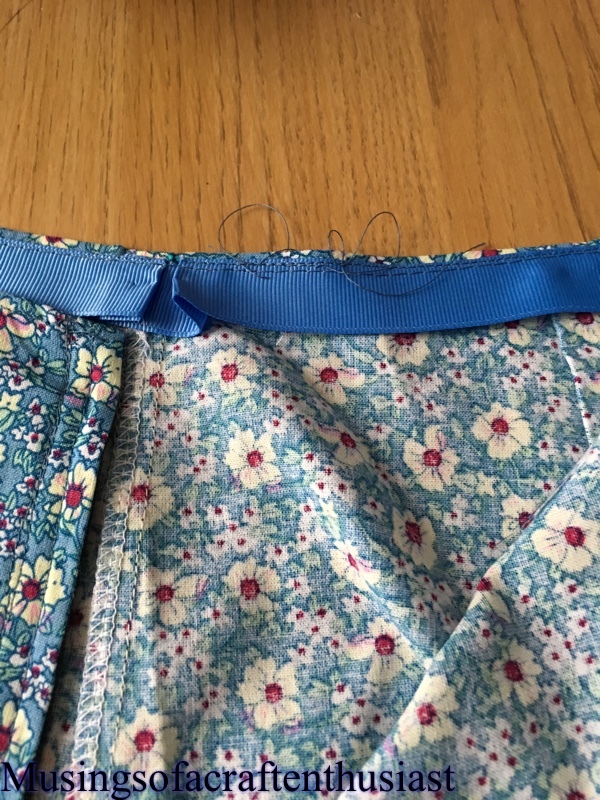 Most of the dress was put together on my overlocker, the other problem I had was keeping the seams aligned as they went through the overlocker, so I had a couple of holes that I need to go back and redo. To be honest one of the problems with the elastic might have been caused by the fact instead of 6mm elastic it was 9mm elastic, I now have the proper elastic so hopefully next time will be easier. Originally I was just going to have a simple neckline, but with the issue i discovered not being able to tell front from back I decided on a collar, I downloaded the extra collar pack from Colette and picked the tie version, I had now trouble attaching the collar, I wasn’t sure about actually timing it so I made a loop to put both end through. I can’t decide whether I should wear a belt with it or not. I wasn’t sure about elbow patches so I left them off, I started this sometime last year, I had it cut out stitched together with the neckband completed, but for one reason or another I didn’t finish it. Because I needed to get a twin needle set up in my sewing machine I thought that I would finish this t-shirt, I have a confession I have actually worn this a couple of times even though the hem and cuffs hadn’t been finished. I’ve stitched the neck binding wrong sides together then folded it over to the front and stitched round again, I find it gives a cleaner finish, obviously it wouldn’t work with a smaller neckline because of the stretching to get over the head. it does need a good iron, and part of me wishes I’d just left it in the unfinished state, the ridge round the bottom isn’t as bad in person as it seems in this photo. The fabric is a very light jersey that likes to cling 😦 bought from eBay, if I had seen it in person I might not have bought it but a good fabric for playing with. The model on the packet has buttons down the front of her dress but I’m not sure if this needs it, the other thing it could have is the lowered belt, still not 100% convinced about that either, I don’t think that the fabric needs any other decoration. Four items finished on time, hopefully this is how the rest of the year will carry on. This is probably the item that is going to cause me the most problems, but to be fair it is going to be my own fault. The original dress fitted fine as long as I didn’t want to move my arms or anything practical like that. 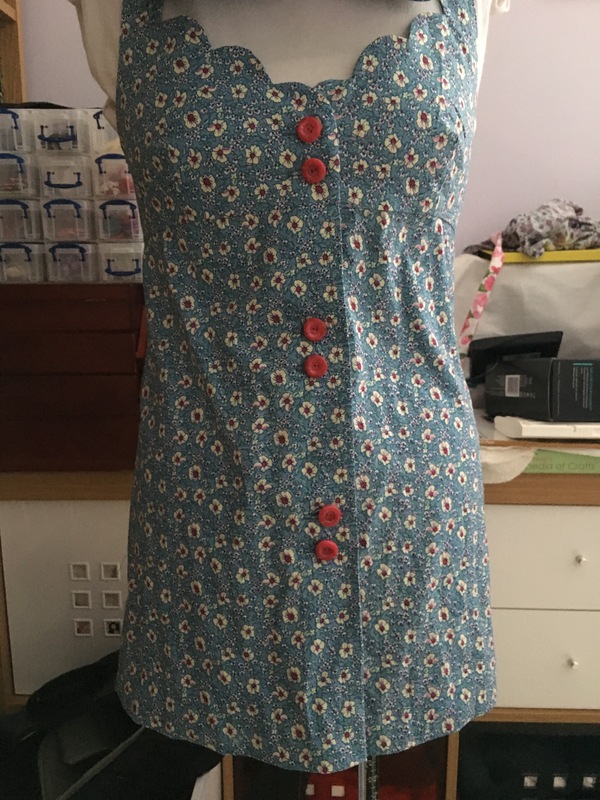 I had two attempts at making the top half of the dress, which gave me enough to do the main bit of the front bodice, I needed to do some pattern matching for the straps, I am very please with the result. I needed to do a bit of patching on the front skirt pieces, luckily it was where it folded under to make the button tab that was short otherwise i would have had to found another plan for the fabric. 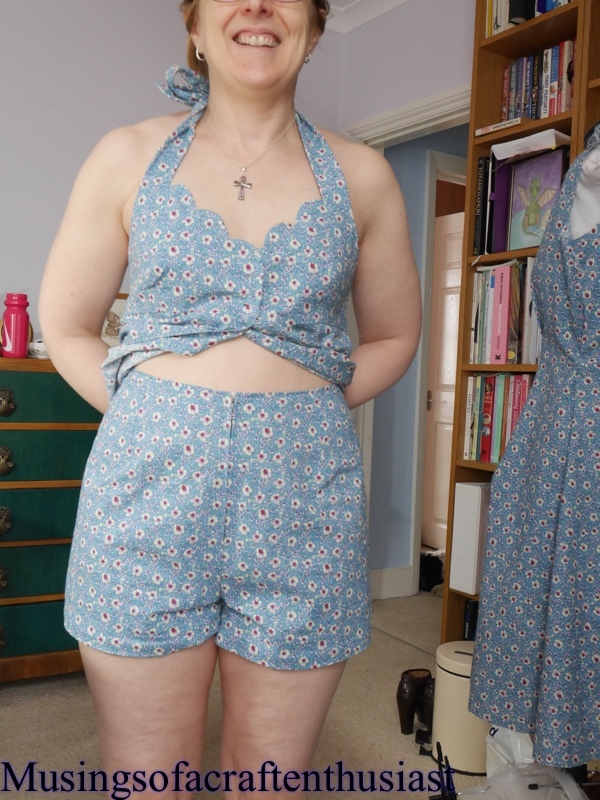 I probably should have sized down the top as I needed to take and extra 1/2 inch off the side seems and bring the front seam in an extra 1/4 inch, I’m thinking I might make the shorter version with the shorts and the halter neck so watch this space. The dress came together very easily and if I had started with a length of fabric, it would only have taken a couple of hour to put together. I wasn’t sure about its double buttons but I think they look alright you do need the hook and eye at the seam otherwise it gapes. To be honest I don’t usually have the determination to stick to challenges which usually why I don’t officially take part. 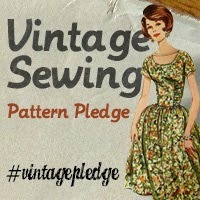 This year I think that I might need some inspiration and encouragement to complete my sewing. This is a challenge to Sew 8 outfits, use only fabric you already have in your stash, use only patterns you own now. do not repeat a pattern twice. I found this over at mermaidspurse.org.nz. 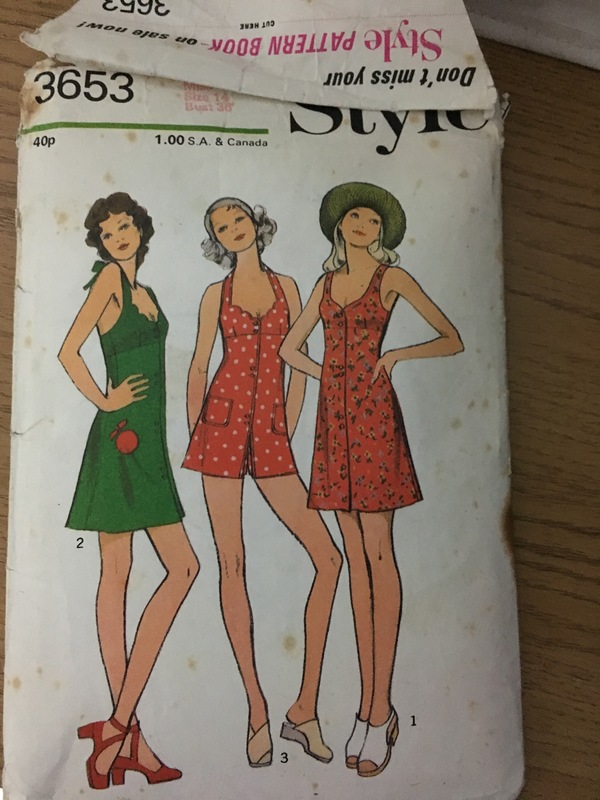 one of these patterns will be the moneta dress, which will enable me to enter the #monetaparty though at the moment I can’t decide whether to do sleeves or no sleeves. With my own personal challenge at the beginning of each month I am going to announce four projects to be completed in that month, one will be a UFO, one project can be carried over to the next month if the project gets carried over more than two months I going to dump it. 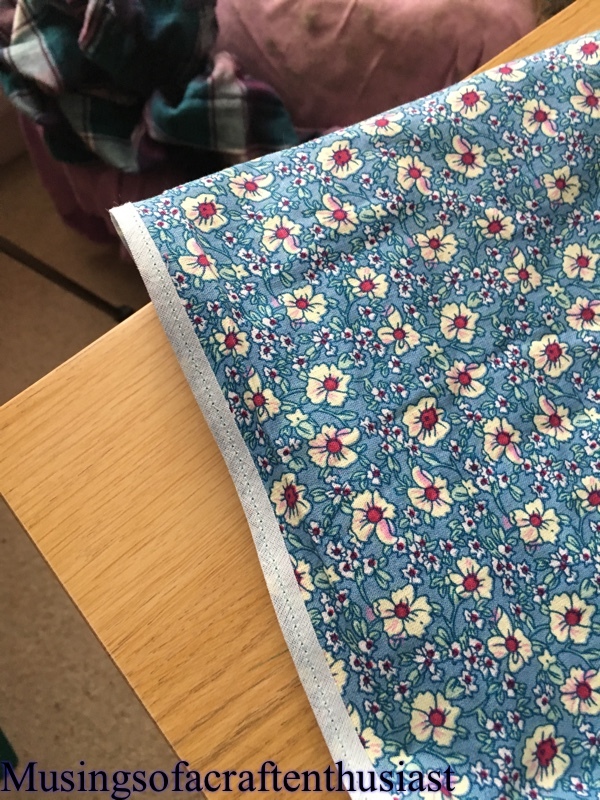 I bought it at Olympia last year, one of the stall employees had a dress on made in this fabric, which I was happy to see, because I had spotted this first and couldn’t decide whether if would look good as a dress. it needs a zip and for me to decide how I’m going to finish the hem.